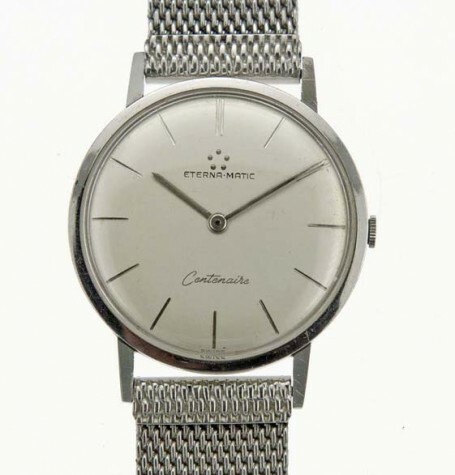 Vintage Eternamatic Centenaire ultra thin dress watch with metal mesh bracelet. 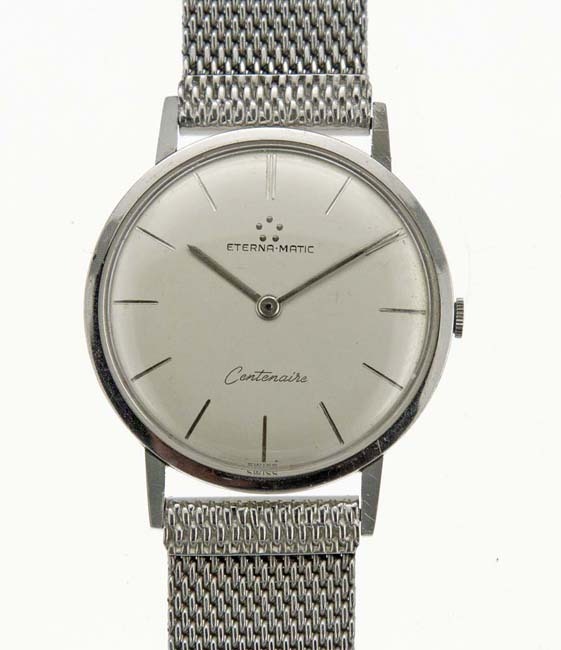 Eternamatic ultra thin watch with automatic movement. 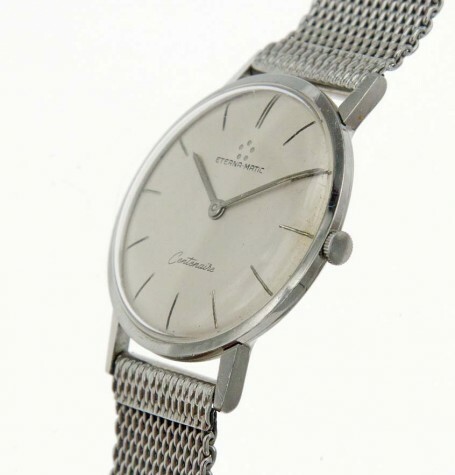 This classic steel dress watch comes with a vintage and period correct steel mesh bracelet. 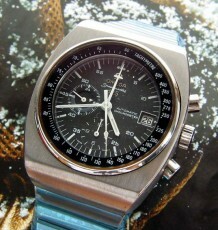 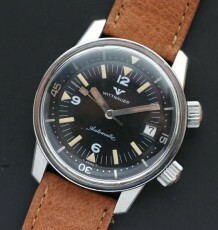 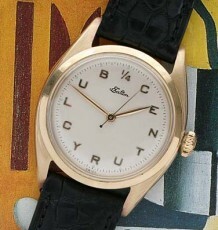 The watch dates to 1960 based on the styling. 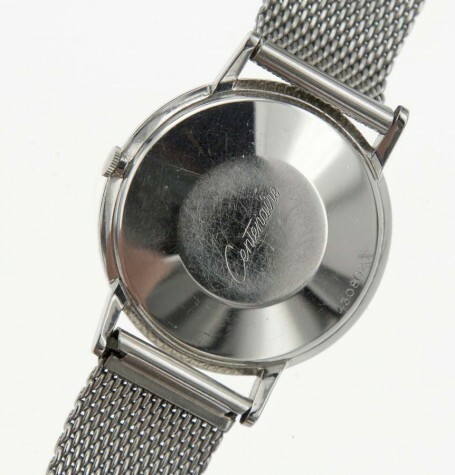 The all original dial is an off white, almost creamy color with engraved steel hour markers. 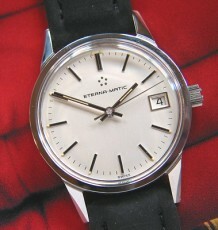 The dial is stamped with the Eternamatic name and five dot logo in the top half. 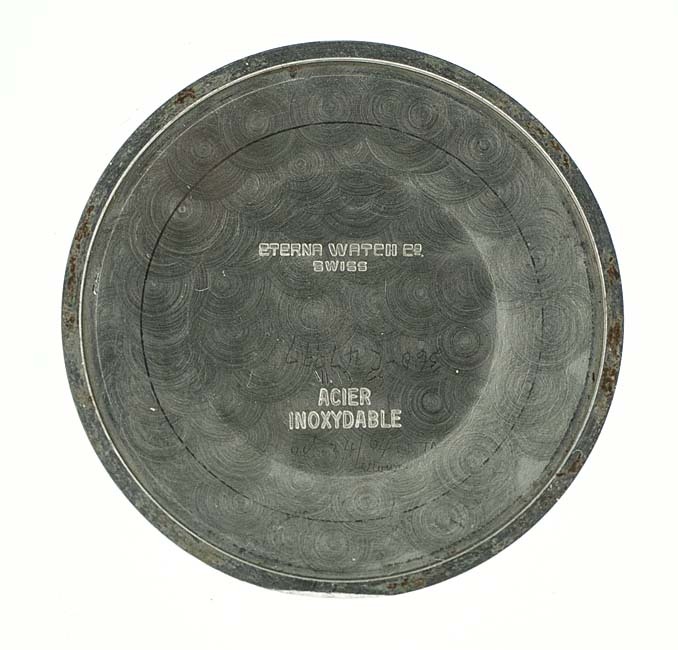 Below the hand post, the word Centenaire is printed. 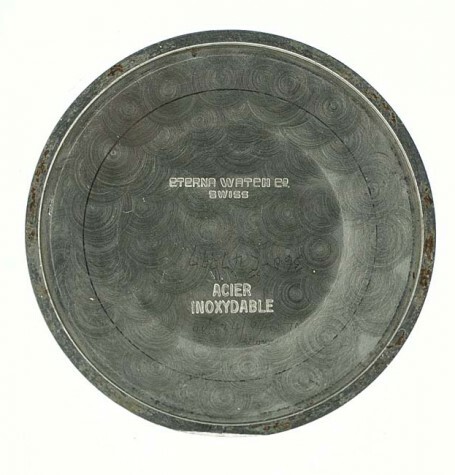 The Centenaire name was first used by Eterna to celebrate their 100 year anniversary in 1956. 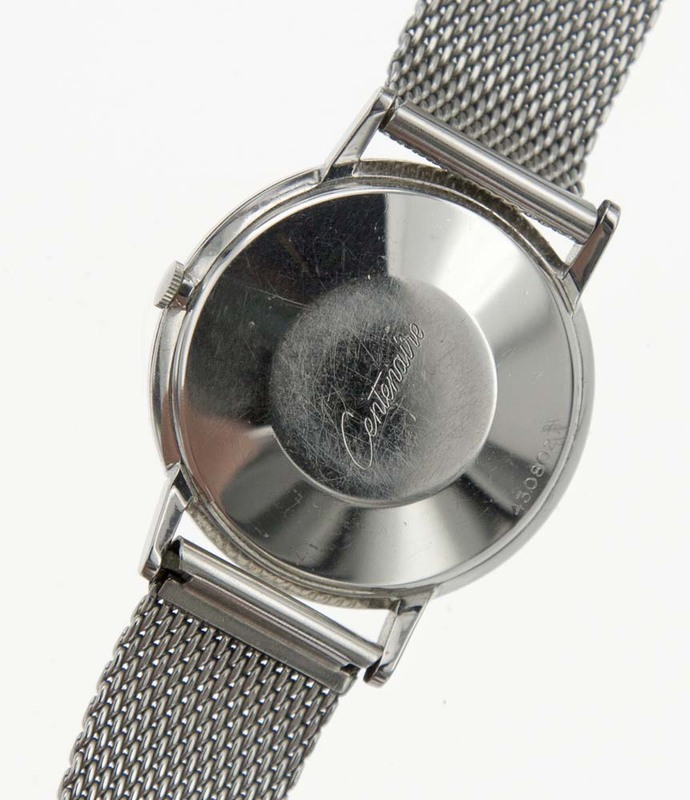 Due to its popularity the model designation continued on and even today is being used by the company. 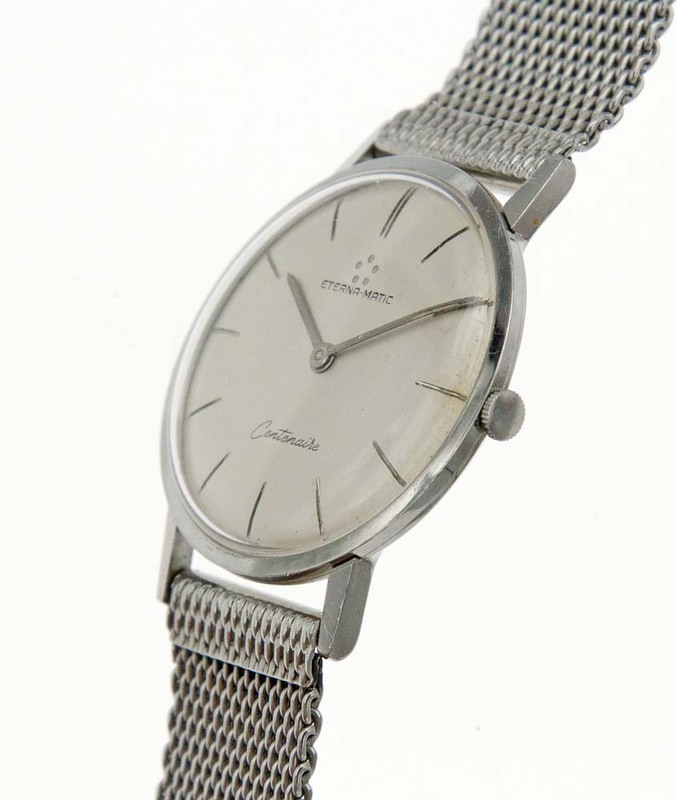 The watch is fitted with a 17 jewel 1429U automatic movement. 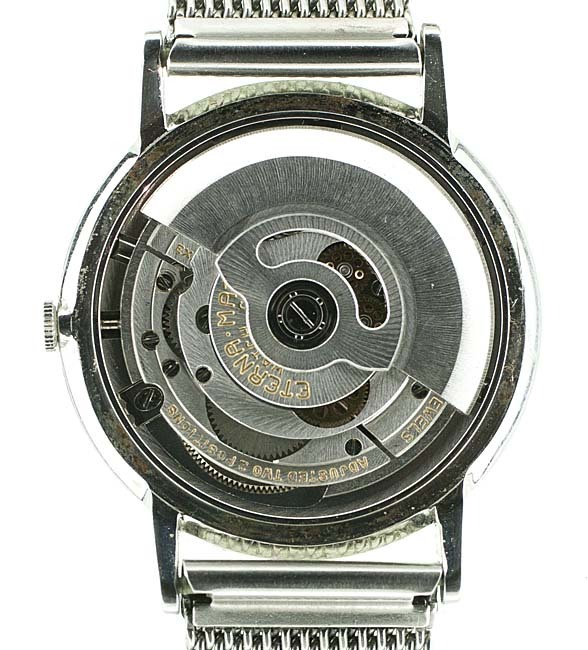 The movement is also adjusted to 2 positions. 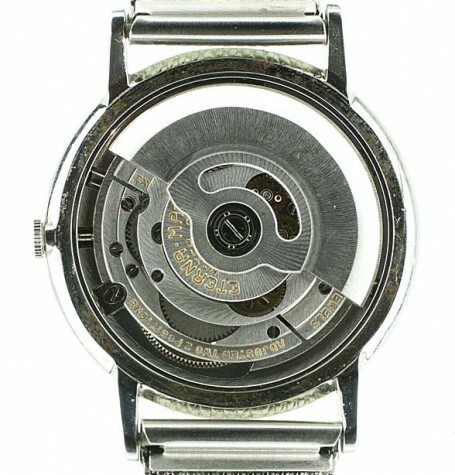 The calibre 1429U was based on an ETA calibre 2430 but modified to Eterna specifications.The movement was just serviced and is keeping excellent time.